White sands with blue clear water. 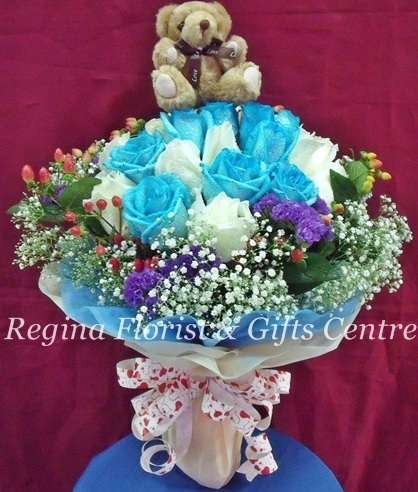 Inspired by this imagery, we have blended blue and creamy white roses together. Perfect!